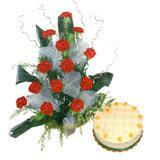 This festive season pamper your loved ones in all cities in India with this amazing combo gift. 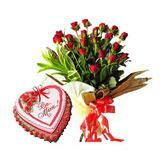 This combo hamper consists of a bunch of 12 Red Roses with 1 kg. 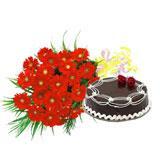 eggless black forest cake. 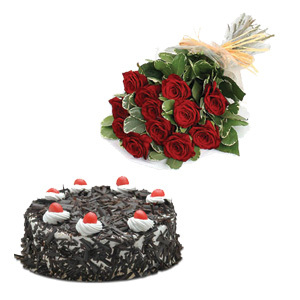 The aromatic fresh flowers and sumptuous taste of the cake is sure to please your dear recipient. 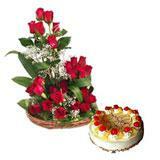 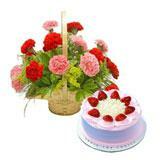 Along with this flowers n cakes combo, you can also send other Gifts across India through GiftsAcrossIndia.com.